"There's no valley low enough"
Hill Racing games were a craze this 2013 we are leaving behind, and some developers took it really seriously.They all are based on the same basic premises, and all Vascogames's similar games follow them all hook, line and sinker. 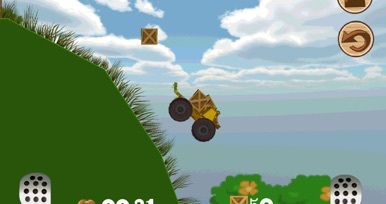 You control a vehicle in a 2D sidescroller and you have to get to end without crashing or be knocked over. Brake and accelerator, which are all you'll need, are displayed on-screen. 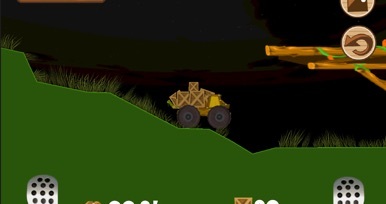 In some games you will drive a cargo vehicle, so you should be more cautious. In others, it's all about sheer speed or brute force. Simple graphics and even simpler gameplay make sure everyone can learn to play in less than a minute. However, it's most likely they get bored after two of such minutes. Yes, they are all free, conveniently assorted with ads here and there. We may only wonder why this developer didn't joined all its driving games altogether in one, compact and recommendable one that included thirty different vehicles and several game modes (cargo freighting, time challenge, distance...). It would have been great to unlock all the vehicles and tracks, but not, it isn't that way. Someone thought it was better to split and atomize it in several tens of tiny pieces that, looked individually, are below average, even for hill racing standards. Driving uphill takes a lot of skill, can you drive fast against the clock while encountering some bumpy and hilly country roads or complete off-road? 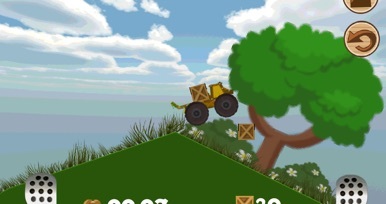 If your answer is yes, then this game is the hill climb challenge for your driving skills. In this truck delivery game you have different loads, and your task is to deliver all of this cargo to the checkpoint at the end of the level. Be careful you don’t miss your cargo! Crossing the steep mountains, and cliffs you find on your way. Load your hill climber truck and go on your way. 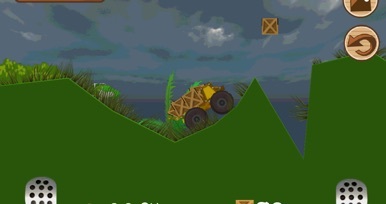 A simple hill racing game. Hill Racing games were a craze this 2013 we are leaving behind, and some developers took it really seriously.They all are based on the same basic premises, and all Vascogames's similar games follow them all hook, line and sinker. You control a vehicle in a 2D sidescroller and you have to get to end without crashing or be….